While scheduling periodic inspections of household devices, it is common practice to focus solely on more prominent home features and appliances – like washers, dryers, roofs, windows and front lawns. Yet, with respect to maintenance concerns there is one device that always seems to be overlooked. In fact, many homeowners might not even own one of these items. It’s a pop culture staple, and one of the most immediately accessible tools that could save you and your home from serious danger. 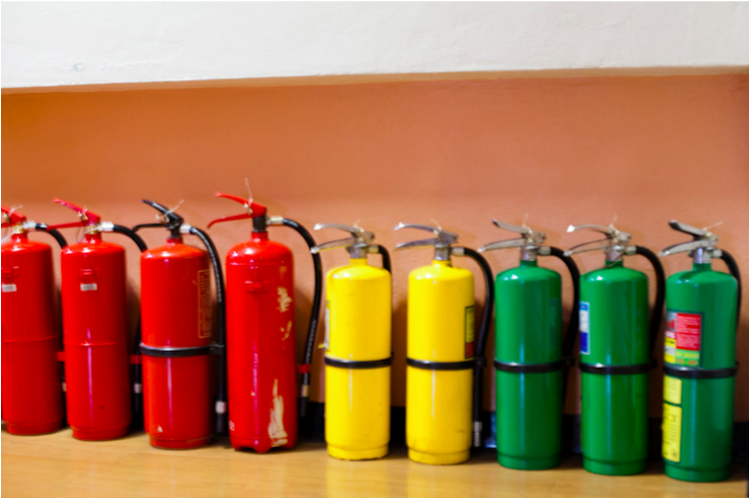 The fire extinguisher: your first line of defense against all initial incendiary threats. Contrary to popular knowledge, fire extinguishers require monthly inspections and annual professional maintenance. Most home fire extinguishers weigh between 5-20 pounds and can be stored in a wide variety of convenient locations throughout a building. However, due to infrequent fire-related threats and the fact they’re stored away, fire extinguishers don’t always receive the level of upkeep necessary to maintain their proper function. Proper maintenance ensures you fire extinguisher’s ability to expel its form of coolant or dry chemicals used to cut off a fire’s oxygen supply. For optimal safety,check your extinguisher each and every month. To get started you’ll first want to direct attention to the tamper seal. Broken tamper seals may indicate damage or previous use. If the seal is broken strongly consider replacing the extinguisher. You don’t want to run out of juice in a moment of hazard! Next, focus on the pull pin and make sure it is securely inserted into the handle. Then assess the pressure gauge, which will indicate the tank’s current pressure. 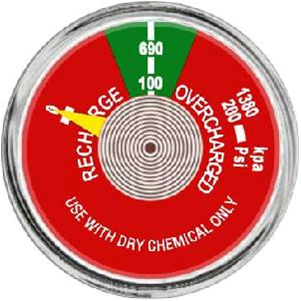 As long as the gauge’s needle hovers in the approved “green zone,” it will operate appropriately. One of the final steps is to inspect the device for physical damage – corrosion, dents, etc. The U.S Fire Administration, the authoritative governmental entity for fire safety and awareness, highly recommends instantly replacing your extinguisher if it contains visible signs of physical damage. Morphed containers may leak or even explode under certain conditions, which can result in bodily injuries. Note: If you have a dry chemical fire extinguisher (it will be officially stated in the manual). Shaking it once a month will help prevent chemicals from settling in layers or solidifying at the bottom of the tank. While monthly checkups will help safeguard your extinguisher’s functionality, an annual professional maintenance inspection will provide further guarantee. Using an automated home maintenance app or checklist will aid in keeping you informed and on top of things. Plus, each extinguisher typically includes an attached tag that can be used to track and record annual inspections. In a worst case scenario the utility of your fire extinguisher can mean the difference between life and limb. It is the first line of defense against all fire-related threats, and its portability allows for convenient deployment in just about any room. Despite the effectiveness of their pressurized payloads, only use extinguishers to fight small fires, as they cannot handle large blazes. Ultimately, a fire extinguisher is a critical safety tool that should receive strong maintenance consideration. Remember to include your fire extinguisher in any upcoming home maintenance checklists. After all, you and your home deserve to be protected!